The key to maximizing the utility of the information derived from science projects is technical transfer. Together with professional communications staff, SGI, IWJV, and BLM are using the following technical transfer methods and platforms to ensure that science-based information can be used by resource managers and practitioners: workshops, webinars, tours, science to solutions, and other forums as determined to be important for the field. The following includes three highlights from FY 2017. The Society for Range Management (SRM) 2017 Annual Meeting featured a full-day symposium on reducing woodland expansion in the West, based on SRM published studies. The full-day symposium included: new targeting tools for planning conifer removal projects; rapid sage grouse recolonization into newly available habitat following conifer removal; enhanced grouse nesting and brood survival rates following cuttings; songbird benefits from conifer removal; and higher water retention on ranches without trees. The Cottonwood Ranch in northern Elko County, Nevada, the BLM National Riparian Service Team (NRST), IWJV, and various partners hosted a Stockmanship School. The purpose of the event was to improve the capacity of ranchers to enhance ecological conditions, protect habitat for sensitive and threatened and endangered species, and address other critical resource concerns through increased awareness of range/riparian management principles and the correct use of low stress livestock management. NRCS SGI hosts workshops focused on a unique conservation practice in a landscape in the sage grouse range annually. The target audiences for these workshops include partner biologists, decision-makers, and the partners that have contributed to field and landscape-scale conservation practices. 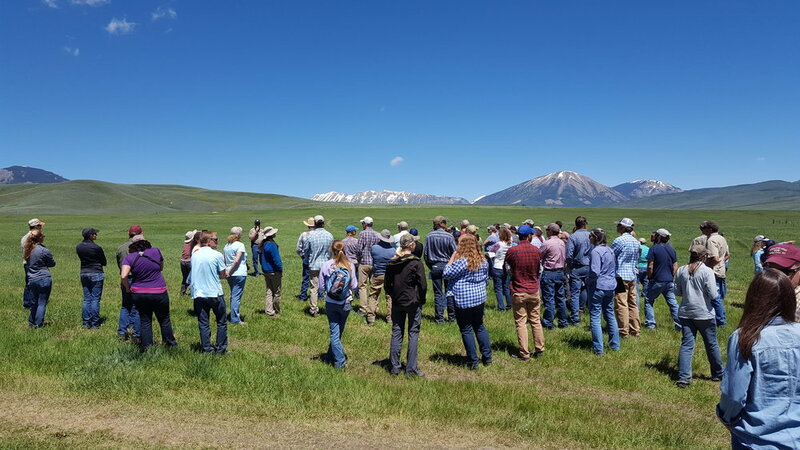 The 2017 workshop was held in Gunnison, Colorado highlighting mesic habitat restoration. The IWJV provided the main event planning support and partnership coordination with NRCS SGI and BLM to make this workshop feasible.